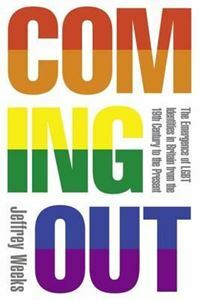 From the barbaric legal and social oppression of the nineteenth century to the seismic impact of the gay liberation movement during the 1970s and beyond, COMING OUT maps the story of British LGBT identities and the ongoing struggle for equality. From the barbaric legal and social oppression of the nineteenth century to the seismic impact of the gay liberation movement during the 1970s and beyond, COMING OUT maps the story of British LGBT identities and the ongoing struggle for equality. A compassionate and moving social history written in an open and accessible way, it lucidly illustrates the resilience and grit of the LGBT community in the face of unprecedented challenges.Originally published to great acclaim in 1977 as a pioneering study of gay and lesbian lives, this classic prize-winning title is newly reissued in a revised and updated edition at a time when LGBT issues are a matter of national importance. As a gay activist and campaigner, Jeffrey Weeks has been on the frontline of the fight for equality for decades.